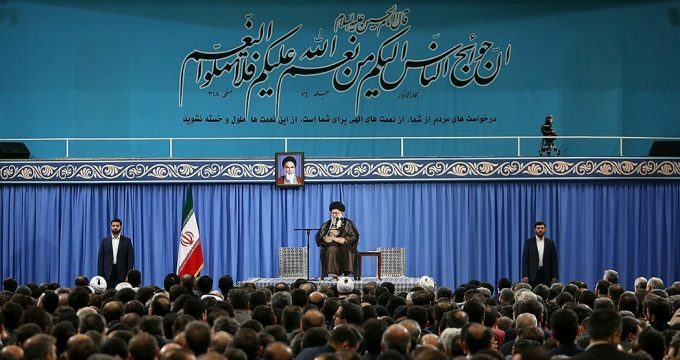 Ayatollah Seyyed Ali Khamenei, the Leader of Iran’s Islamic Revolution, says there is no need to join international treaties and conventions that do not serve the country’s national interests. OPEC should maintain its existing deal to cut oil supply until the end of 2018, a senior Iranian official said on Wednesday, maintaining Iran’s opposition to increasing supplies. Iranian Minister of Petroleum Bijan Zangeneh addressed the 7th International Seminar of the Organization of the Petroleum Exporting Countries (OPEC) in Vienna on Wednesday. Norwegian Prime Minister Erna Solberg said on Wednesday that Oslo is keen on safeguarding the landmark Iran nuclear deal, formally known as the Joint Comprehensive Plan of Action (JCPOA). The General Assembly of the United Nations has elected 18 members of the Economic and Social Council to serve three-year terms beginning 1 January 2019, UN Information Center (UNIC) in Tehran wrote on Wednesday. Iran’s state rail company has signed a memorandum of understanding with Switzerland’s rail tracks maintenance machines manufacturer Matisa for obsolescence management, Tasnim news agency reported on Wednesday. Iran’s leader criticized the U.S. administration’s separation of immigrant parents and children at the U.S.-Mexico border in comments published on his official website Wednesday. Member of the Expediency Council and Supreme Leader’s Advisor for International Affairs Ali Akbar Velayati Wednesday urged Europeans to keep their promises with regards to the JCPOA and also forced the US to avoid creating obstruction in this regard. Iran national football team head coach Carlos Queiroz says although they have not supermen against Spain but they can do super things.